Andererseits besagt ein Gesetz, dass selbst üblicher Atommüll aus Kernreaktoren mit einer Strahlenbelastung von unter 100 bq/kg in Metallfässern zu versiegeln und an einem sicheren Ort zu verwahren ist. Dass nun Müll mit bis zu 8.000 bq/kg in Müllverbrennungsanlagen verfeuert werden darf, ist ein krasser Widerspruch. Die Präfekturen Akita, Aomori, Fukuoka, Gunma, Ibaraki, Niigata, Saitama, Shizuoka, Tochigi, Tokyo und Yamagata haben die Verbrennung von kontaminiertem Abfall in ihren Anlagen bereits abgesegnet und in Angriff genommen. Der Bürgermeister von Osaka, Toru Hashimoto, macht sich dafür stark, dass Abfälle aus der Präfektur Miyagi auch in Osaka zur Verbrennung gelangen. Allerdings hat sich dort eine starke Gegenbewegung formiert. On August 30, 2012 a public meeting was held in Osaka, regarding the possible incineration of waste from the tsunami disaster in Miyagi Prefecture, which lies next to Fukushima, in waste incineration plants in Osaka.The Japanese ministry of the environment pursues a policy of distributing the waste from Tohoku, which is contaminated with radiation, across the entire nation and at the same time applies very generous maximum permissible values, which allow the treatment of waste in ordinary incineration plants, with a radiation level of up to 8,000 becquerels per kilo. 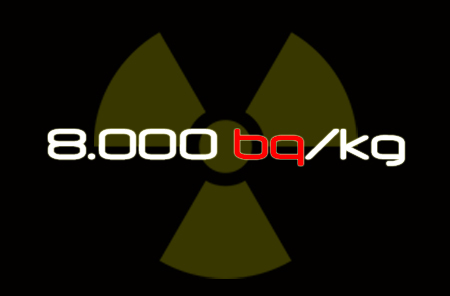 On the other hand there is a law clearly stating that even normal nuclear waste from nuclear power plants with a radiation level of less than 100 becquerels per kilo needs to be stored in a safe place, in sealed metal drums. But allowing waste with radiation levels of up to 8,000 becquerels per kilo to be processed in incinerators is a glaring contradiction. The prefectures of Akita, Aomori, Fukuoka, Gunma, Ibaraki, Niigata, Saitama, Shizuoka, Tochigi, Tokyo and Yamagata have already approved and started the incineration of contaminated waste in their facilities. The mayor of Osaka, Mr. Toru Hashimoto, is lobbying for waste from Miyagi Prefecture to be burned in Osaka’s waste incineration plants. However a countermovement opposing this plan has formed.